Today is Mesothelioma Cancer Awareness Day. If you’re like me, the most you’ve ever heard about it has come from the late night ads on television. A week or two ago I was contacted by a wonderful lady named Emily Walsh, who is the Community Outreach Director for Mesothelioma Cancer Alliance. Taking a closer look at the article, I realized that Mesothelioma is like Breast Cancer was ten years ago. It loomed around us all the time, but nobody really knew anything about it. Here’s one of the big reasons Emily stumbled upon my blog…”United States Veterans are at the greatest risk….Many veterans and shipyard workers were exposed to high levels of asbestos from several different applications.” Military vetrans, service members still working, and shipyard workers are still exposed to this dangerous form of cancer. I don’t write often about life in the shipyards, but I would believe this statement. I can’t tell you how many nights I stood fire watch while they worked with chemicals that could catch fire. Do me and this wonderful group a favor and take a look at her information. 8 Things You Should Know About Mesothelioma The information could save your military man’s life. 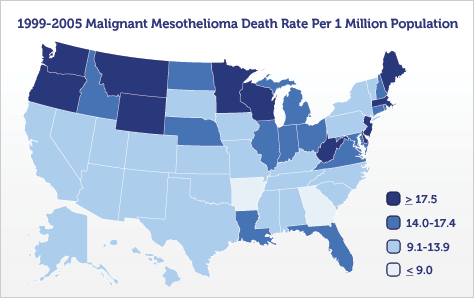 If Emily’s article interests you, here is another site about Mesothelioma, including statistics by state. Posted in blogging, cancer, Guest Blogger, military, military family, veteran and tagged airforce, army, asbestos, cancer, cancer awareness, information, marines, mesothelioma, military, military family, navy, ship yards. Bookmark the permalink.